I am pleased to announce that following discussions with the internal medicine community, including fifteen medical societies and many board certified physicians, the ABIM Council unanimously approved a new policy: Beginning January 1, 2016, diplomates certified in nine subspecialties of internal medicine will no longer need to maintain underlying certifications to stay certified. 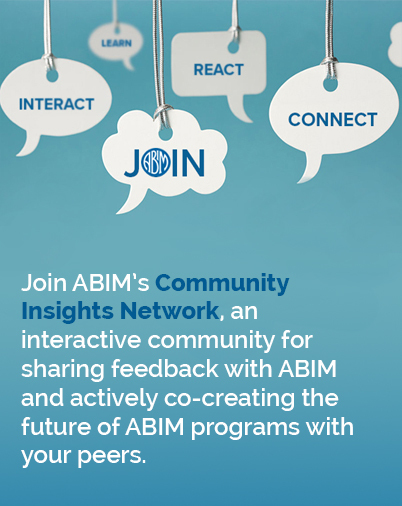 Learn more on ABIM.org through our news release and FAQ. This post was updated 07/02 to reflect updated FAQ page.